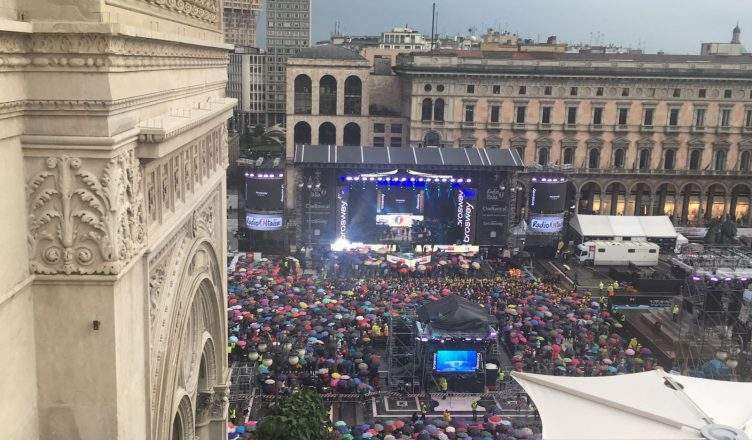 Music lovers visiting Milan in the next months are in for a treat as Wednesday June 8th marks the start of Milano in Nota– Milan’s music festival, which runs until September. The event takes place in venues across Milan, with live concerts displaying the best of every kind of music, from lively pop-rock to stirring classical to sublime jazz, being performed. Evenings in Milan have never sounded so good! The event kicks off on 8th and 9th June with RadioItalia Live in Piazza Duomo. Eighteen Italian artists will perform live in front of crowds expected to number up to 100,000. Artists expected to perform include Lorenzo Fragola, Alessandro Amoroso, and the Orchestra Filarmonica Italia. Starting at 8pm this event is free to attend. Come at Highline Galleria and see the concert from the rooftops of Galleria Vittorio Emanuele of Milan. On June the 12th, you will have the chance to experience the magic of La Scala as Filarmonica della Scala performs in Piazza Duomo of Milan. The orchestra will be conducted by Richard Chaily, and Argentinian pianist Martha Argerich will also be performing in a concert that includes The Sorcerer’s Apprentice by Dumas, Igor Stravinsky’s L’oiseau de feu Suite 1919 and Maurice Ravel’s Piano Concerto in G major. The Italian Gospel Choir is expected to perform in September. Sates and details are still to be confirmed. If you are in Milan for any of this festival, do not forget to buy a MilanoCard so you can travel for free on public transport to any of the concert venues and take advantage of a range of discounts in restaurants, shops, and attractions throughout the city. If you are looking for somewhere to stay, check out the discounts available with your Milan City Pass. If you are worried the price of hotels might shoot up because of the top musical events happening in the city this summer, find out about the fixed rates and discounts that are available at some top hotels on weekends for holders of the MilanoCard.